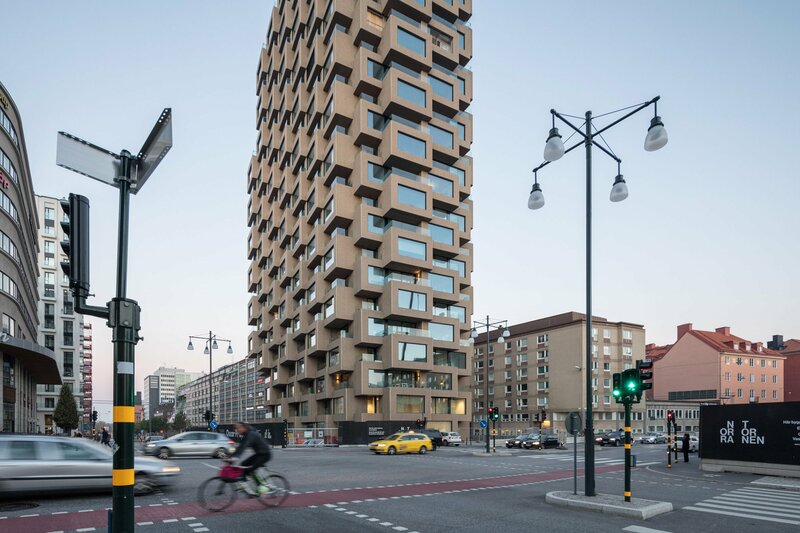 Innovationen Tower, a 125-metre high tower formed of stacked precast concrete modules, has completed as part of an OMA-designed housing development in Stockholm. Reinier de Graaf led the design for the apartment building, which he said represents a new era for prefabricated housing. “The Norra Tornen project represents a milestone achievement for us,” said De Graaf, partner at OMA. Alternating protruding windows, recessed terraces, and a facade of ribbed concrete brushed with aggregate pebbles were included as “echoes of brutalist architecture”, he added. 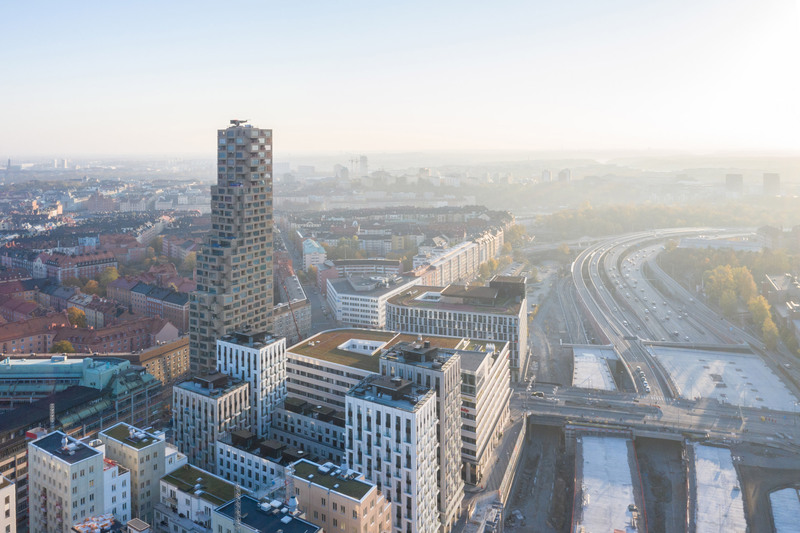 The tower is part of the Norra Tornen development in Hagastaden, a new district to the north of the Swedish capital. Developers Oscar Properties purchased the land from the City of Stockholm in 2013, with OMA adapting the pre-existing building envelopes left from a cancelled project by architect Aleksander Wolodarski. Innovationen Tower has 182 homes, from one bedroom apartments, measuring 44 square metres, to a 271-square-metre penthouse. Residents also have a cinema room, dinner room, guest apartment, gym and sauna, and shops on the ground floor. A second 110-metre tower, containing another 138 homes, is due to complete in 2019. 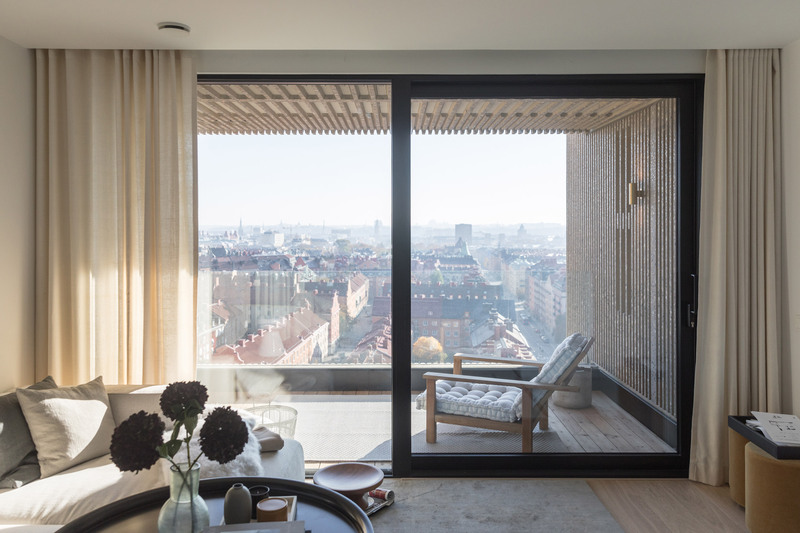 Norra Tornen’s wall-to-floor ratio – the amount of external walls compared to the internal floor space – is one, as the apartments have high ceilings and large windows. 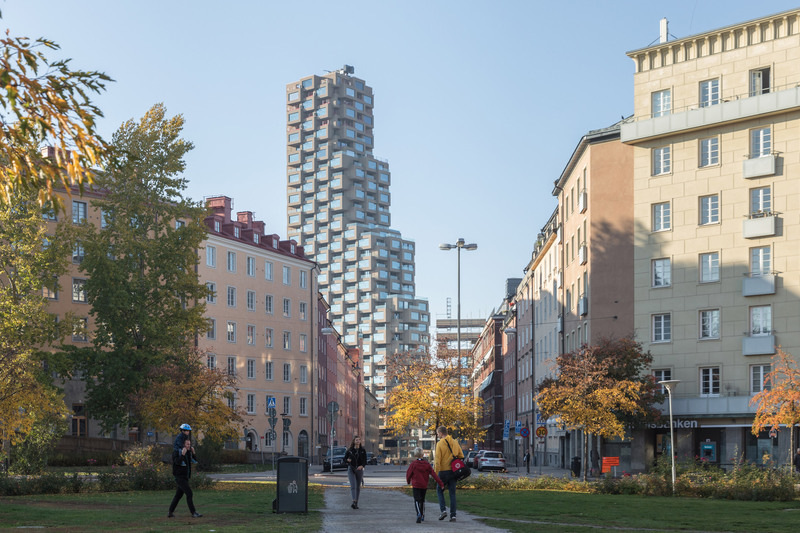 A typical tower’s wall-to-floor ratio is 0.5, but as daylight is limited for half the year in Sweden the architect and developer decided to add taller windows. OMA’s modular system of precast concrete panels allowed construction to continue even when winter temperatures dropped to below minus five degrees Celsius, where in-situ pouring becomes impossible. Another Oscar Properties project completed in Stockholm on the same day. BIG’s housing development, called 79 & Park, was made from prefabricated timber modules and stacked to look like a “manmade hillside”. OMA recently completed a two of the three towers it is building in Miami, which feature an undulating facade of terraces arranged in a grid. 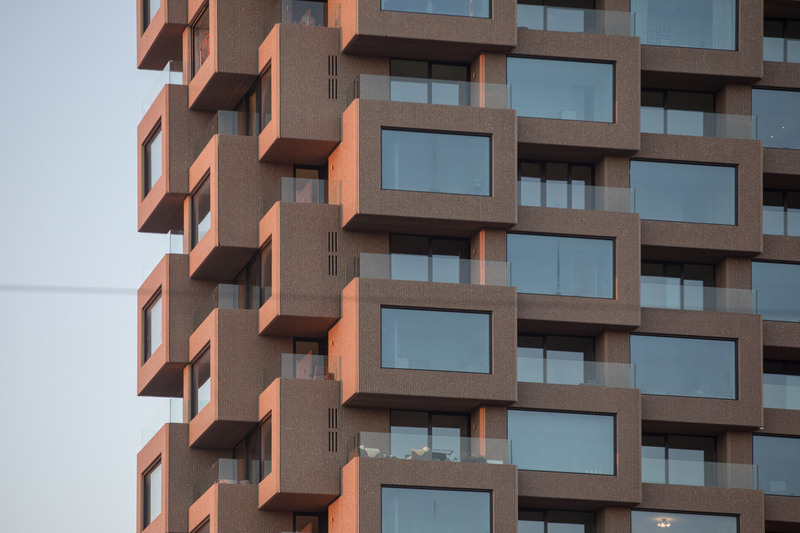 The post OMA’s prefabricated concrete tower has “echoes of brutalist architecture” appeared first on Dezeen.